Hello – hello, there! Do you ever get obsessed with a product or a technique? I am a bit obsessed with gold embossing these days so you will have to excuse me while I bombard you with gold embossed cards this week. 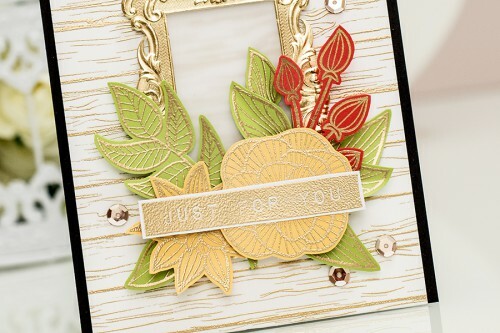 I am up on the Altenew blog with a new card and video tutorial sharing my love for all things gold. The starting point for this project was definitely one of the new gorgeous Antique Trims from Altenew. I am so head over heels in love with these! They are expensive, but are exquisite! Since the frame that I picked was gold I also heat embossed the background in gold. I used the fabulous Wood Palette 6×6 background stamp and stamped it horizontally. Next I picked a few flowers and leaves from the Striped Florals set and heat embossed those onto bright cardstock for a pop of color. I cut all of them out using scissors. 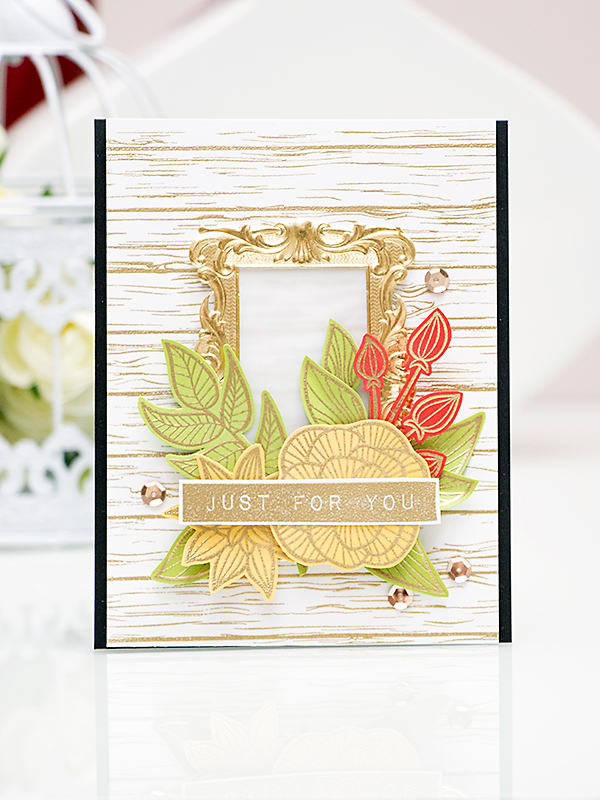 Finally I added the Just For You sentiment, again heat embossed in gold and embellished my card with a few gold sequins. If you’d like to watch me create this card please watch my video tutorial below or on Youtube. Like this video? Please give it a thumbs up and share with friends. Thanks so much! P.S. Don’t forget about the Altenew Inks Blog Hop – be sure to check it out here and leave a comment for your chance to win a $30 gift card to Altenew store. ooo! 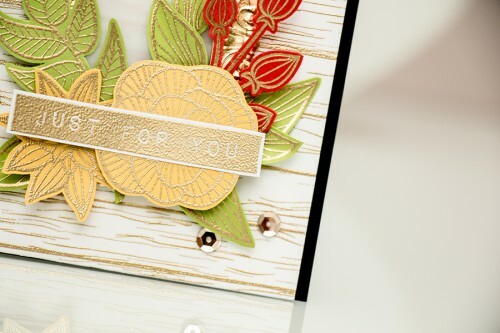 I love the gold embossed flowers in this card Yana! 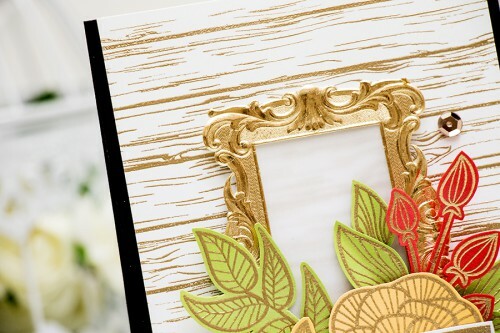 Beautiful color palette too, this card looks very sophisticated! good to know I’m not alone 🙂 thank you! This is absolutely STUNNING Yana! TFS! You were one of the first people I started following on Pinterest and this card is a testament to why. Absolutely gorgeous! I have pinned this to watch later.